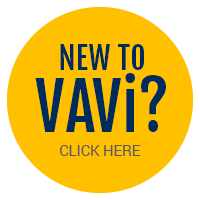 VAVi Tennis provides the essential knowledge for all levels of learning Tennis. Classes are structured to maximize learning and focused on providing each tennis player with an understanding of ground strokes, volleys, overhead shots, serves/returns and strategy. This class is perfect for beginner and/or intermediate players looking to improve their skills! 1.5: This player has had limited experience with stroke development and is still working primarily on getting the ball into play. This player is not yet ready to compete. 2.0: This player needs on-court experience, with an emphasis on play. This player struggles to find an appropriate contact point, needs stroke development/lessons and is not yet familiar with basic positions for singles and doubles. 2.5: This player is learning to judge where the ball is going when receiving the ball, although movement and recovery are not in sync. Can sustain a rally of slow pace with other players of similar ability and is beginning to develop strokes. This player is becoming more familiar with the basic positions for singles and doubles. This player is ready to play social matches, leagues and low-level tournaments. 3.0: This player is fairly consistent when hitting medium-paced shots, but is not comfortable with all strokes and lacks execution when trying for directional control, depth, pace or altering distance of shots.